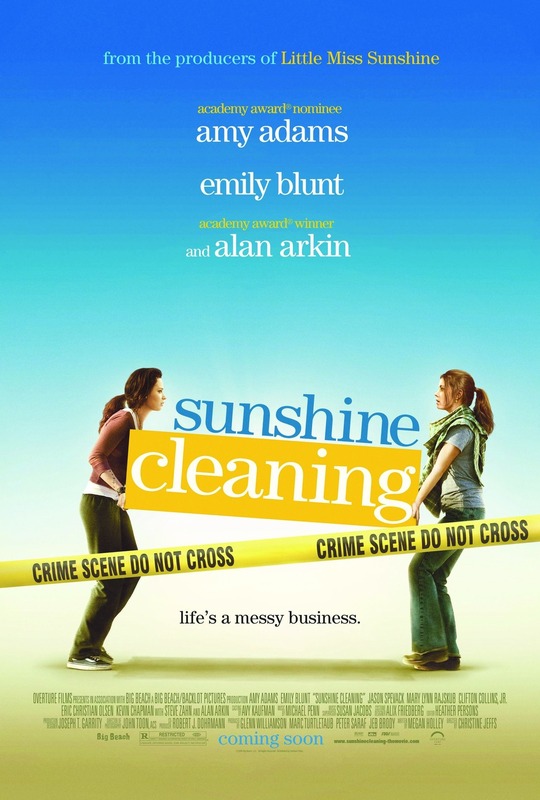 Sunshine Cleaning follows the lives of Rose (Amy Adams), her sister Norah (Emily Blunt), and their father (Alan Arkin) in a memorable and heartbreaking tale of loss and family. Rose works as a house cleaner and, in an attempt to send her son to a better school, quits her job and starts a business with her sister doing crime scene biohazard clean-up, through which they both go on a journey of self-discovery, finding that maybe family means more than what they thought. First, the cast. The cast is phenomenal, and Amy Adams gives what I deem to be one of her best performances. Second, this movie has more heart that any of the recent blockbusters I've seen combined. There's heartache and loss, there's laughter and family and friendship. This film doesn't shy away from the harsh truths of life, and it shines the brighter for it. It has broken family relationships, broken romantic relationships, and no magical fix at the end. But this movie gives you hope--hope that even though everything is screwed up, that doesn't mean it can't be good. That doesn't mean it can't get better. What was I before I was born? What happens when we die? Do animals go to the same place as we go after we die? Is heaven really crowded? When somebody gets an arm chopped off does it go to heaven? Is Jesus another name for you or are you two separate people? Were you born? Will you die? If you already live in heaven where do you go when you die? Have you seen Sunshine Cleaning? What did you think?